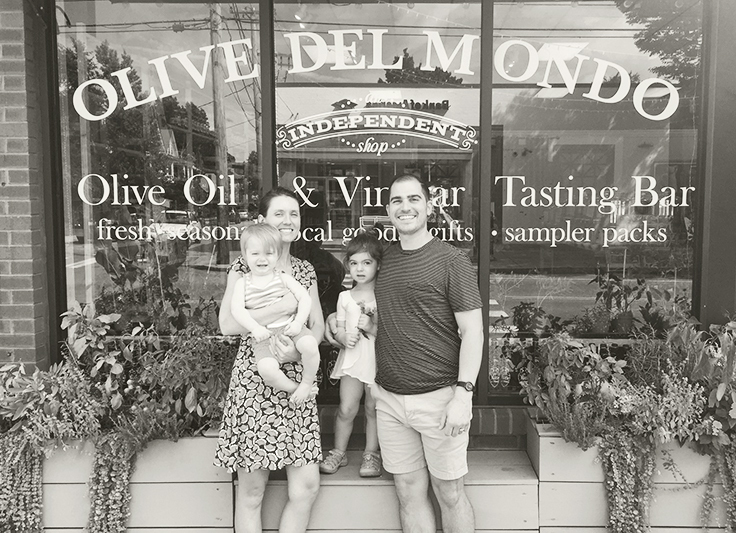 We are a family-run olive and vinegar tasting bar as well as vegan mini mart located at 815 Hope Street, Providence, Rhode Island. We opened in 2012 and have expanded our selection of healthy and delicious olive oils and vinegars to include a large variety of vegan, local, and artisanal products. Our goals are to offer the best olive oils and vinegars from around the world, and to also support independent producers and local makers, so we've stuffed our shelves with unique Rhode Island and American handmade small-batch goods. Everything in our store is vegan with the exception of a handful of clearly marked products that contain honey we feel is ethically sourced.